This largemouth bass shaped wall hanging is perfect for the homes of fishing and outdoor enthusiasts featuring a sculptured design and a rustic brown finish that complements most any decor. 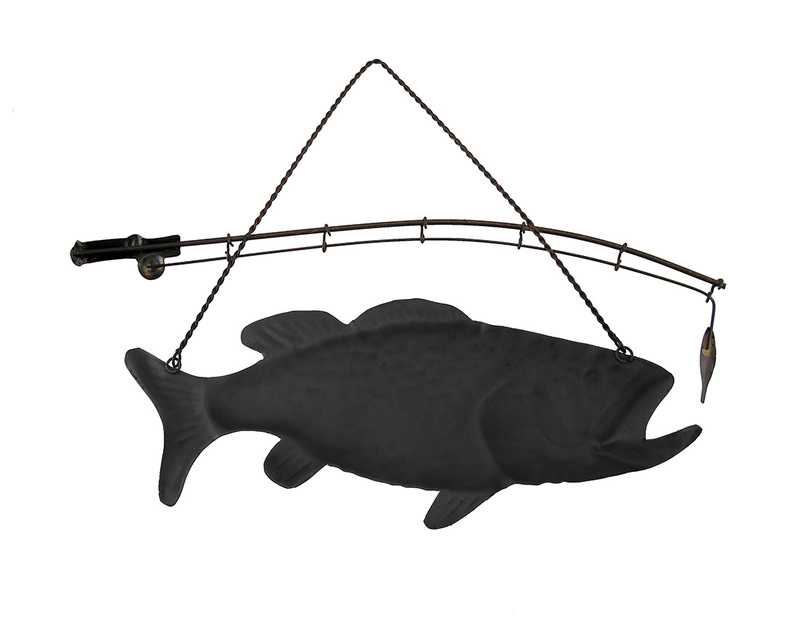 This 14 inch long, 11 inch high (36 X 28 cm) metal bass will perpetually try to snag the lure hanging from the fishing pole! It easily mounts on any wall using the twisted metal hanger, and would look great in any room. Don't let this fish be the one that got away!